This is one of the few ways I indulge my inner artiste. Every time I write a scene, especially one I’ve been planning for weeks—or worse, months—I think about the scene that could have been. You know the one I’m talking about. That perfect scene where everything happens like magic. Your prose sparkles, the dialog crackles like popcorn, the descriptions paint a perfect picture. In my mind, the lighting is tasteful and the characters are dancing to Within Temptation’s “All I Need“—not because of The Vampire Diaries, but because I love the song and back in 2009 I used to take long walks playing and replaying the reel of a particular scene, set to that song, in my head. I get this feeling when I write a scene without really planning it, too. With every word I write, I kill another word I could have written. With every unexpected plot twist, an invisible door somewhere closes. Have you ever experienced this feeling? I mourn the loss of something that never was but could have been. Like I said, this is one of the few ways I allow myself to wallow in artistic pretense, so maybe the cheese stands alone. Still, I think there are a few ways to prevent this feeling. 1. Slow down. When you start writing a scene you’ve been imagining for weeks, don’t rush through it because you have every line of dialog memorized. Write slowly. Capture the details. Don’t let that elusive perfect scene slip away because you weren’t paying enough attention. 2. Try something unexpected. It’s best to do this only when you have notes or a draft of how you want your perfect scene to play out. Sometimes the shake-up will make a scene that’s been fermenting in your brain for too long fresh and new, but you don’t want to lose your vision of how you wanted the scene to play out disappear. 3. Don’t let scenes get stale in your imagination. 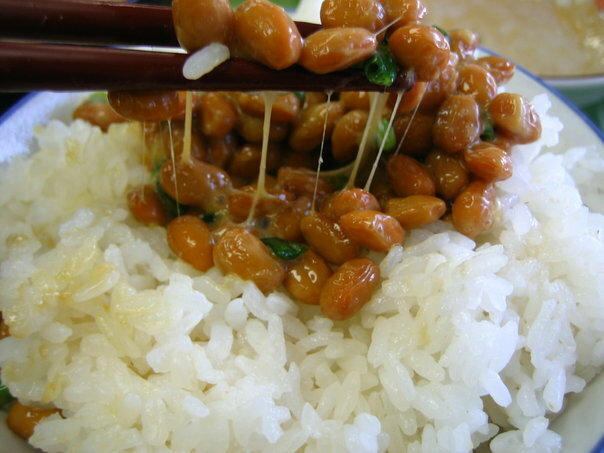 Sometimes fermenting doesn’t create wine: sometimes it makes natto. I know this one from experience. If you build up your expectations about a given scene, even a given story, you will never be able to write it the way you imagined. So here’s my question for you: Can you recreate a scene entirely in a rewrite? I don’t really mean starting from scratch. I mean same characters, same place, same conflict. What do you think? I think the second time around is better. When I started my WIP novel, I was horrible at writing (I know that now). To fix up the ENTIRE novel, because it’s was all badly written (although the idea was still great), I thought about what I wanted to get out of the scene and re-wrote parts, or the entire thing to effectively get where I wanted.